The dramatic Guildhall offers an impressive setting for parties, receptions, seated dinners, meetings and lunches. 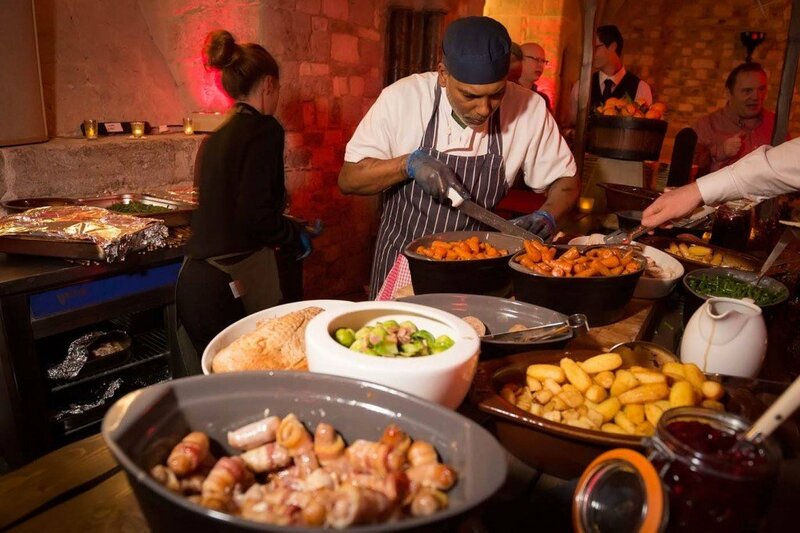 For Christmas parties, this venue really has the wow factor, as our guests discovered at this bespoke Christmas party last winter. This show-stopping medieval masterpiece boasts dramatic architecture and striking stained glass windows, and truly is steeped in history. 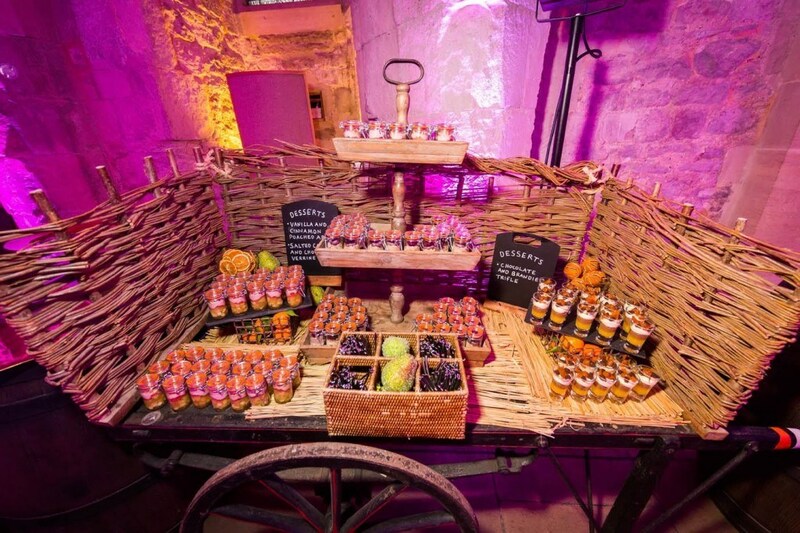 At this party, guests enjoyed an unforgettable festive atmosphere, accompanied by some decadent seasonal catering from our team. 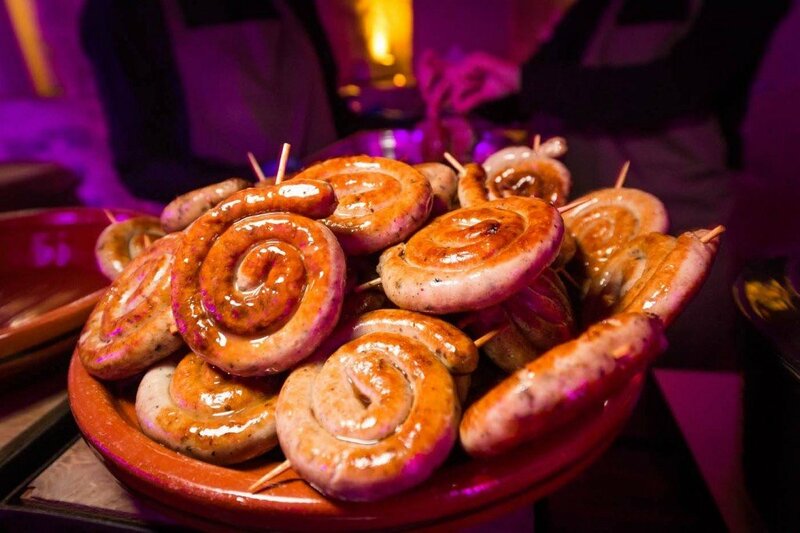 Our client opted for food stalls at this event, a great choice for events where a buzzing party atmosphere is key. 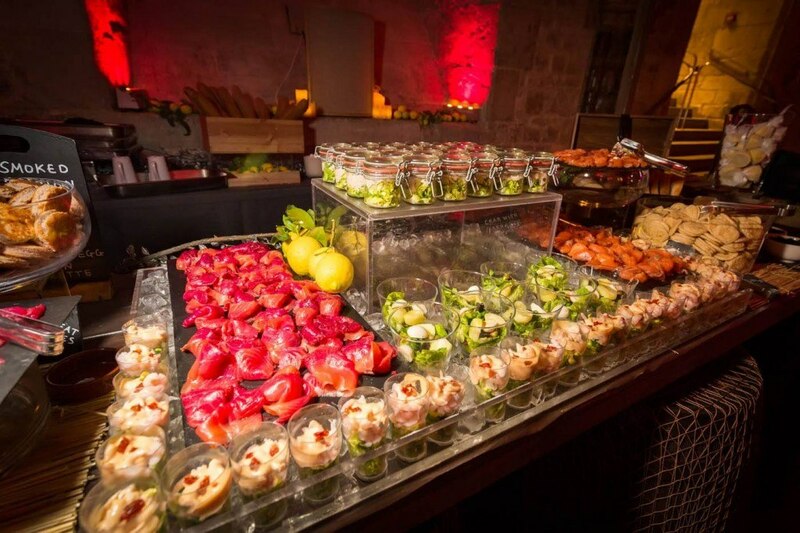 Guests could choose from three savoury and one sweet station. 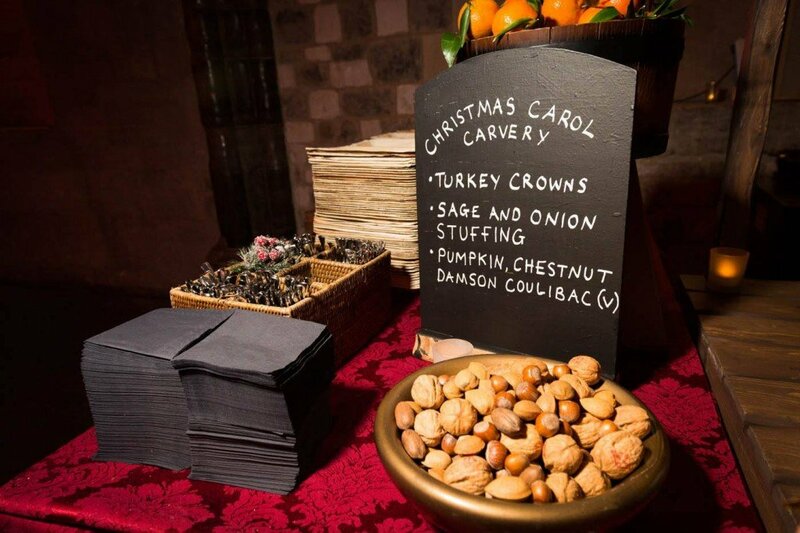 One station kept things traditional, serving up a ‘Christmas Carol Carvery’, a rustic trestle table carvery serving traditional turkey crowns with sage and onion stuffing – the turkey was hand carved by our chefs, at the elegant trestle table, which was decorated with vases of clementines, pine cones and nuts. 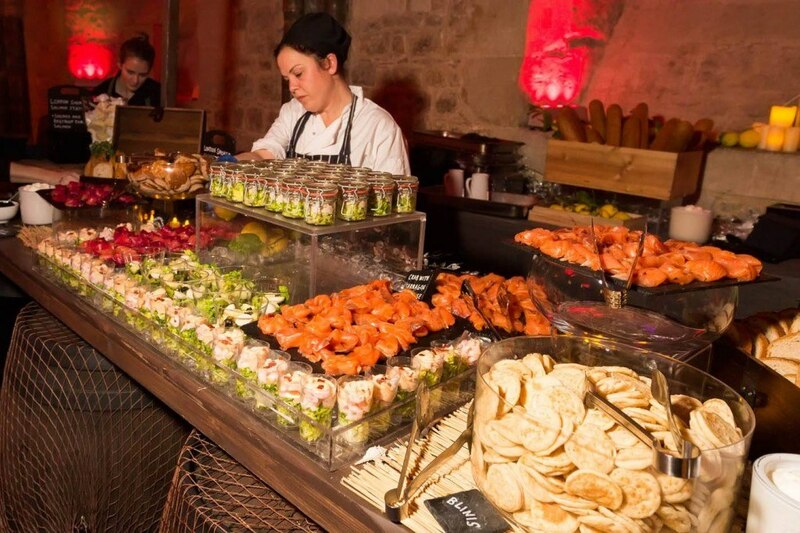 Seafood is another festive favourite, so the second food stall offered a selection of British seafood, sourced from our coastlines and served in ice troughs, complete with traditional slate and drift wood platters, oyster boxes filled with crusty bread and fresh seaweed, all served on striped table cloths with a selection of sauces served in seaside buckets. Dishes on offer included whole sides of home cured and beetroot cured salmon, served with buckwheat pancakes, blinis, sour cream and caviar, mini pints of prawns, Salcombe bay crab, served with parsley and shallot dressing, thousand island dressing and winter herb sour cream and vegetarian Niçoise salad. 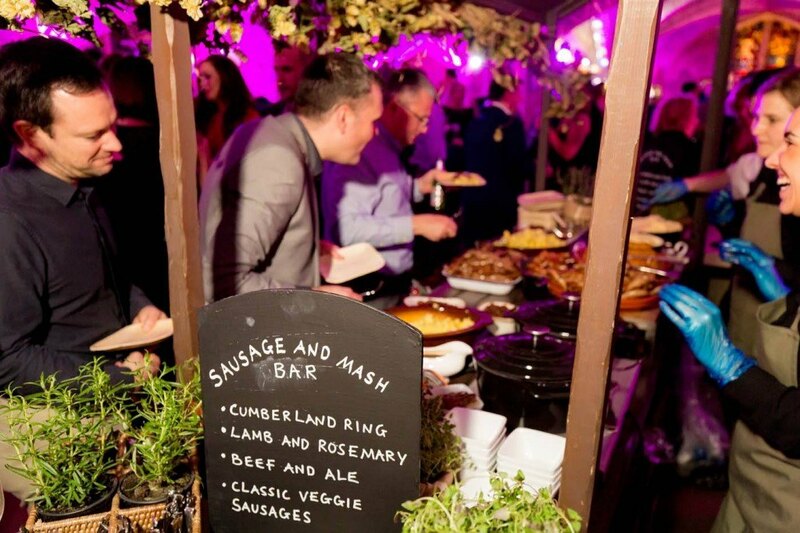 The third savoury station was a true British classic: sausage and mash. The humble dish got a bit of a revamp for the occasion though; guests could pick from a selection of flavours including pork and leek, Cumberland ring, lamb and rosemary, beef and ale, or classic veggie sausages, all served with creamy mash, spring onion mash, grainy mustard mash or crushed new potatoes, sticky onion marmalade and homemade baked beans. No Christmas event would be complete without a few tempting desserts, and this one was no exception. 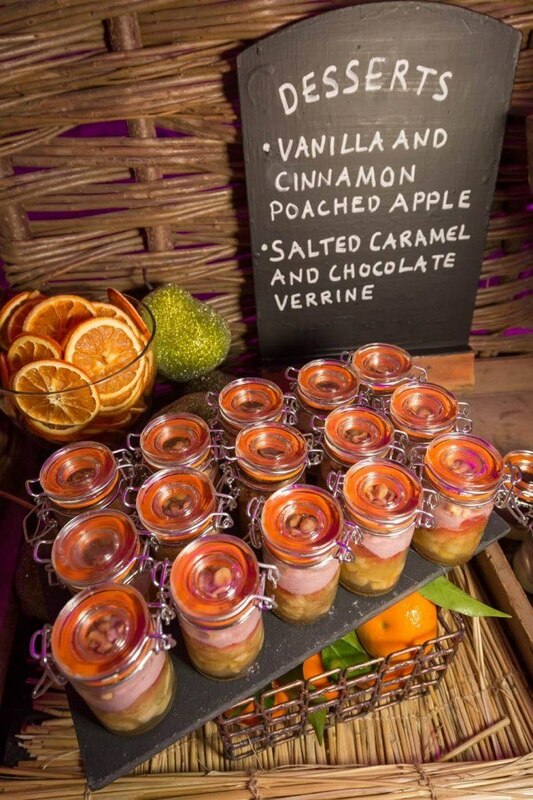 The dessert station served a selection of Create favourites, including chocolate pave, vanilla and cinnamon poached apple, chocolate and brandied cherry trifle, honeycomb cheesecake, cranberry jelly, salted caramel and chocolate verrine and cherry Bakewell tarts. Guildhall has entertained royalty throughout the centuries, with the venue’s Great Hall hosting some of the country’s most famous state trials, including that of Lady Jane Grey in 1553. If you’d like to find out more about the venue for your next event, get in touch.